Accordingly, while most other cruise ships spenmd their careers going between the Caribbean islands and/or sailing the Mediterranean, the focus of Coral Princess has always been on the Panama Canal. During the hot summer months, the ship does vacation in Alaska but from the Fall through the Spring, the Panama Canal is the centerpiece of Coral Princess' itineraries. There are two types of Panama Canal cruises. In a full transit, the ship sails through the Canal going between Fort Lauderdale and Los Angles. During a partial transit, the cruise begins and ends in Fort Lauderdale with the ship entering and exiting the Canal via the Gatun Locks at the Caribbean end of the Canal. 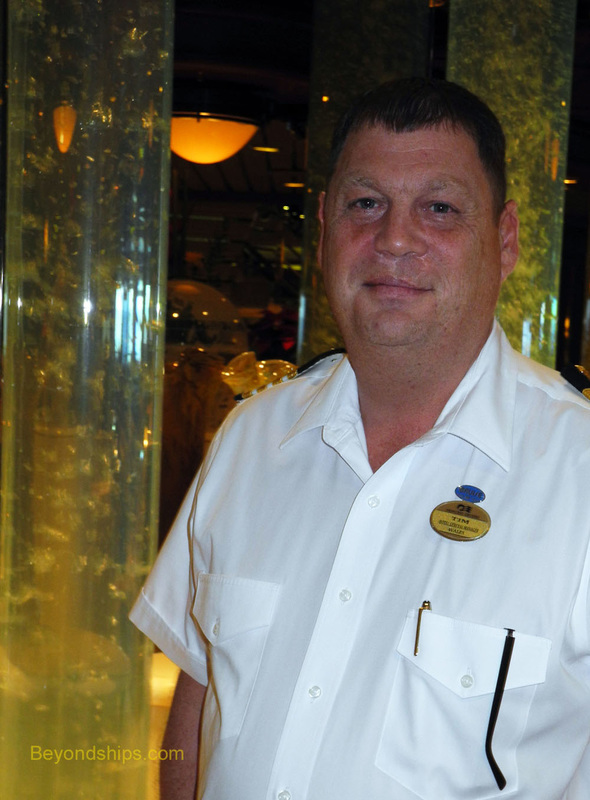 “Obviously, the Panama Canal is the highlight of this cruise.” Visiting the Panama Canal is a special experience, even for seasoned travelers and those who have been there before. During a partial transit of the Canal, Coral Princess enters the Caribbean end of the Canal in the pre-dawn hours and then proceeds through the Gatun Locks in the early morning light. Once through this series of three lock chambers, the ship anchors for the day in Gatun Lake. In the afternoon, she goes back through the Gatun Locks and makes a brief stop at the port of Colon to retrieve those passengers who have gone off on shore excursions. There are other cruise ships that do cruises through or to the Panama Canal, thus the question becomes why sail on Coral Princess? Of course, Coral Princess is not as large or as new as Royal Princess and Regal Princess and so she cannot offer everything those ships offer but Princess has cleverly incorporated a surprising number of new features into Coral Princess. To illustrate, the space used for the Sabantini's specialty restaurant does double duty becoming Alfredo's Pizzeria at lunchtime. Sinilarly, the steakhouse, the Bayou Cafe, is used to present the Crab Shack dining experience. A new LED wall has been installed in the Princess Theater to enhance the scenery during production shows just as on Princess' newest ships. At the same time, Coral has some features that are unique to Coral and her sister ship Island Princess. The Bayou Cafe with its New Orleans influenced setting and menu is one example. Another is the Universe Lounge.